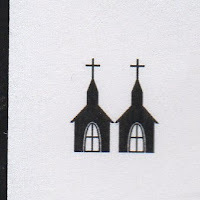 The idea of this blog has always been to look at how the church and clergy -- and Christianity in general -- has been viewed in popular culture today and, for the last century, in the movies. Today we’re stretching a bit by looking at a take on clergy from the late 16th century. The Tragedy of Romeo and Juliet is estimated to have been written between 1591 and 1595. 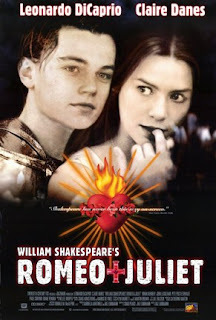 There have been dozens of filmed adaptations of Romeo and Juliet, even if you don’t include looser versions such as West Side Story and Warm Bodies. We love you, dear Movie Churches readers, but we weren’t about to watch -- and write about -- dozens of adaptations for this post. Instead, we watched two: Franco Zeffirelli’s 1968 blockbuster Romeo and Juliet and Baz Luhrmann’s more contemporary take of Romeo + Juliet. In our era, when comic book superheroes rule the box office, it’s hard to imagine a time when the public was excited about a Shakespeare play on the big screen, but young people flocked to see 1968's representation of literature’s most famous young lovers. It probably helped that the posters for the film showed the title characters apparently naked in bed and word got out that the young, pretty actors (Leonard Whiting as Romeo and Olivia Hussey as Juliet) would, in fact, be seen naked (briefly) in a PG-rated film. Like most of Zeffirelli’s work, Romeo and Juliet is rich with period sets and costumes and lush cinematography. 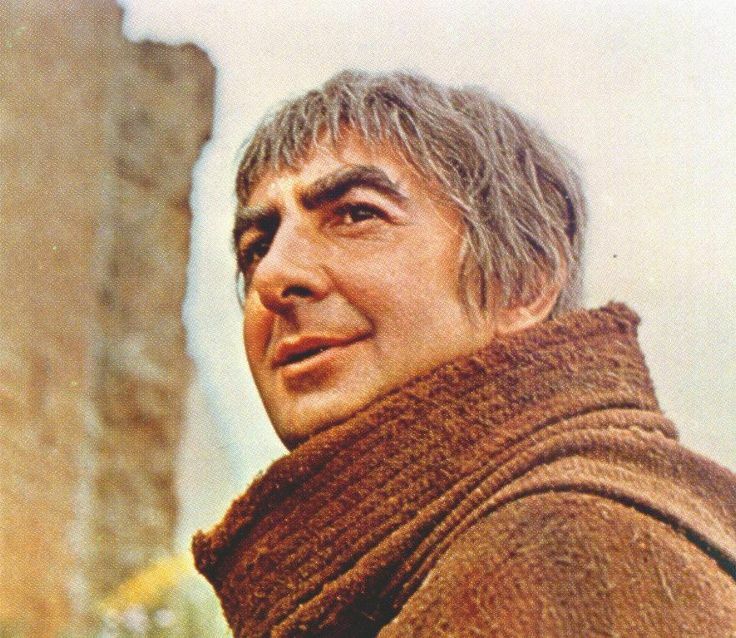 Probably no one back in 1968 was saying, “Let’s go and see that movie with the friar,” but that, of course, is our focus here at Movie Churches. And Billy Shakespeare made Friar Laurence central in the plot of the story, leading inadvertently to the death of the young lovers. In the 1968 film, we first see Father Laurence with his herbs in the field. I can’t help but think that a certain segment of the ‘60’s audience would think “herbs” in a different way than it would have been thought of in previous decades. Zeffirelli is not coy about the church setting where Romeo and Laurence meet. A crucifix is prominently featured in the scene. It is interesting that this young man shares most deeply about his love life with a man who has taken a vow of chastity. The friar hopes that this new romance might bring peace between the Capulet and Montague families. Romeo also meets with Juliet’s nurse in the church. They both pretend to be pray while they discuss the Juliet's message to Romeo. We hear a choir singing in the background. Upon hearing confirmation of Juliet’s love for him, Romeo blows kisses to the crucifix. When Romeo and Juliet meet at the church a few hours later, Friar Laurence steps between them to keep them from getting too passionate, then performs the marriage ceremony for the young lovers (without any witnesses). The young couple continues to hide their relationship from their families, and Friar Laurence aids in the deception. Juliet’s family has arranged for her to marry a nobleman named Paris, and Friar Laurence practically flat out lies to Paris. I have problems with that lack of honesty from a man of the cloth, but compared to what he does next, this is almost a minor problem. Romeo kills a man and is exiled. The hope of a happy ending for the lovers seems to be fading. So Friar Laurence devises a simply genius plan to reunite the lovers and prevent Juliet from marrying Paris. Laurence convinces Juliet to take a potion that will simulate death for “two and forty hours.” She is to fake her death, Friar Laurence will hold a mock funeral, notify Romeo that it’s all a ruse, and when she wakes, the two can run off happily ever after. This whole plan of the friar's was based on deception and doomed from the start. If he had -- long before -- used his influence to bring about peace between the feuding families instead of involving himself in teen romance, perhaps there would have been a better outcome. Friar Laurence's apartment is decorated with religious statuary and pictures of Jesus. 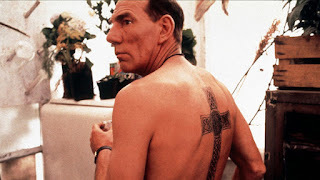 When he conducts Juliet’s funeral, there are tacky neon crosses everywhere. But the friar doesn’t talk about Jesus much or seem to be interested in following his example in working with people. Friar Laurence in this version of the story (as in the original), obviously cares very much for the foolish young couple, but trusting in his own wiles rather than looking to wisdom from Scripture leads to a tragic end. 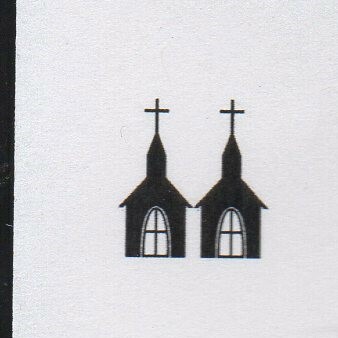 The clergymen earn both films a low Movie Churches rating of Two Steeples.